Salil Singhal is focused on making PI Industries a billion-dollar chemical company, growing its presence in key business verticals. On December 31, 1946, eight months before India became independent, P.P. Singhal founded Mewar Oil & General Mills Ltd in Udaipur, in the then state of Mewar (now part of Rajasthan). The company made edible oils. The business never did take off and flourish, and he exited this space. In the early 1960s, P.P. Singhal, a masters in chemistry from Allahabad University, took to manufacturing pesticides. 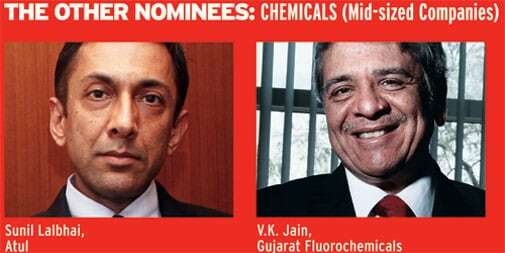 The company name changed to Pesticides India and was later renamed PI Industries. His son, Salil Singhal, a political science graduate from Mumbai's St Xavier's College, also joined the family business. Salil is now the Chairman and Managing Director of PI Industries. The company has moved beyond pesticides under his watch. Today, it is a leading agricultural input and custom synthesis and manufacturing company in India. Indeed, the company has been expanding at a scorching pace in recent years. Salil cut his teeth in business under the supervision of his father. "One evening in the late 1960s, my father told me that I would have to head for Agra, where we were setting up our pesticides formulation unit," says Salil. "That was my first hands-on learning experience. It gave me an understanding of the various laws that govern manufacturing and also the regulatory environment." The Agra unit was finally shut down in 2009. The company found limited scope to expand there and chose to locate all operations at Udaipur where it had established its first unit. The business model also underwent a change at the same time. So far, the government was the only customer of PI Industries. The company started investing in its own distribution network to sell its products mainly to farmers. Salil would then spend time in the fields with farmers assessing the response to the company's product portfolio. He also travelled across the country trying to market his products. "We had to create our own dealership network and I then got involved in that," he says. 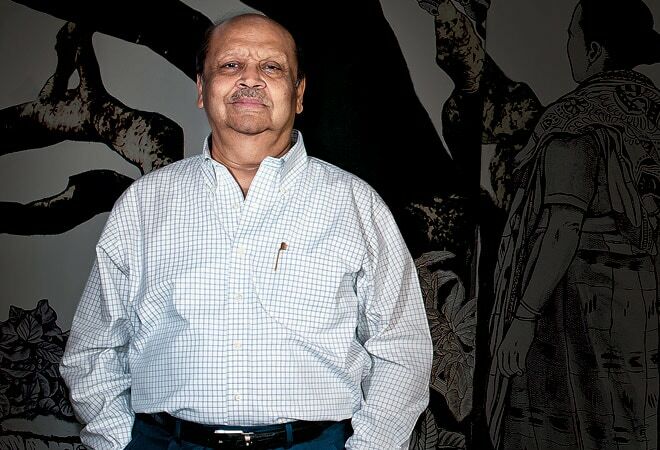 Salil has been at the helm since his father died in 1979 at the age of 59. Salil says he is now implementing his father's vision for the business. For a company that was making pesticides formulations (the end products handled by farmers), Salil got down to fulfilling his father's unfinished agenda of manufacturing active ingredients as well, the products that go into making the formulations. Salil turned the set-up in Udaipur into a research and development (R&D) hub for the company, where his scientists would work on process innovations to make products most efficiently. Manufact-uring shifted to Gujarat's Panoli and Jambusar regions. PI Industries has a total manpower of around 1,550 with about 135 people engaged in R&D. In fact, in 2011, PI Industries signed up with Japan's Sony Corporation to put up a joint venture in Udaipur called the "PI-Sony Research Centre" to carry out research in the area of synthetic organic chemicals for applications in the electronics industry. PI Industries is now a listed entity. In fact, Salil says one of the reasons behind getting listed on December 30, 1983, then on the Indore Stock Exchange, was a law at the time that imposed an additional 10 per cent income tax on unlisted entities. Today, it is listed on the Bombay Stock Exchange and the National Stock Exchange and is trying to grow two clear business streams. Agri inputs is a focus area where it is offering plant protection products and speciality plant nutrient products and solutions. The other business involves custom synthesis & manufacturing for global innovator companies. To support this business, Salil says, the company is investing in R&D ranging from three per cent to five per cent of sales in a year. "Our research is focused on process innovation and we also support R&D to develop and commercialise products based on newly discovered chemistries with reputed MNC innovators." So, how does PI Industries compare with its peers? "In the agro chemicals inputs business, we are among the top five Indian companies today," says Salil, pointing to the growth the company has been showing in terms of market capitalisation, return on capital employed or debt-equity ratio. It has currently a market capitalisation of around Rs 6,000 crore (about a billion dollars). "Salil Singhal has grown the business from a family-run to a professionally managed company. Yet at the same time, there is a good mix of family and professionals running the company," says Ramni Nirula, the only lady on the PI Industries board. "It ensures that the personal touch to the business is not lost along with good relations and equations with some of the biggest global innovator companies." The company today has a very interesting combination of conservative values along with a progressive outlook, she adds. Salil is a workaholic. While he is not an early riser - he is up by about 7.30 am - he often works late till midnight. The day-to-day operations of the business are all handled by his son Mayank Singhal, Managing Director and CEO of the company, who has been working with him and growing the business since 1996. This leaves Salil with time to focus on strategy, board-related issues and on mentoring. When his son joined the business, Salil says the brief to him was to ensure that the focus always remained on the fundamental values of integrity, transparency and being above board. In the next five years, PI Industries plans to emerge as a billion- dollar player from gross revenue of Rs 1,837 crore and net profit of Rs 183.73 crore that it posted in 2013/14. In the custom synthesis business, it hopes to go beyond agro chemicals and get into other streams, such as textiles, electronics or pharma. The story that began just before the country's independence appears well poised to begin a successful new chapter in its journey.